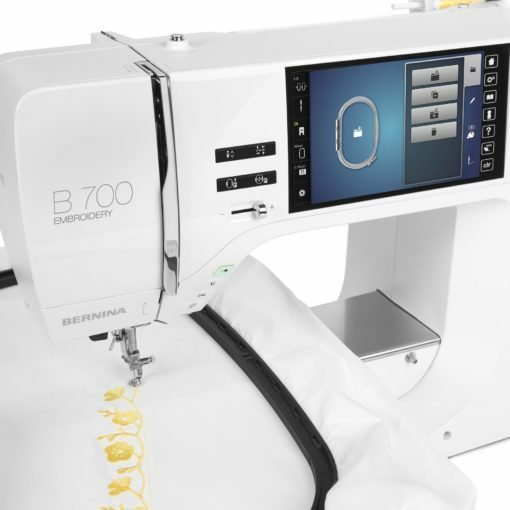 The B 700 for embroidery offers even more features and options for embroidery lovers. Design editing allows you to easily position, mirror, rotate, combine and resize motifs. Create curved lettering effects, alter stitch density, combine alphabets with embroidery or create beautiful endless embroidery designs. Complex combinations can even be resequenced according to color, and alternative color options can be reviewed before stitching out. The finished design can be saved directly on the machine or a USB stick. The extra-large embroidery area gives you a lot of flexibility and comfort when embroidering. With 10 inches to the right of the needle you are able to embroider designs up to 400 x 210 mm in size using the Maxi hoop which is available as an option. Should your embroidery and designing ambitions grow, the B 700 can be enhanced with embroidery accessories and software. 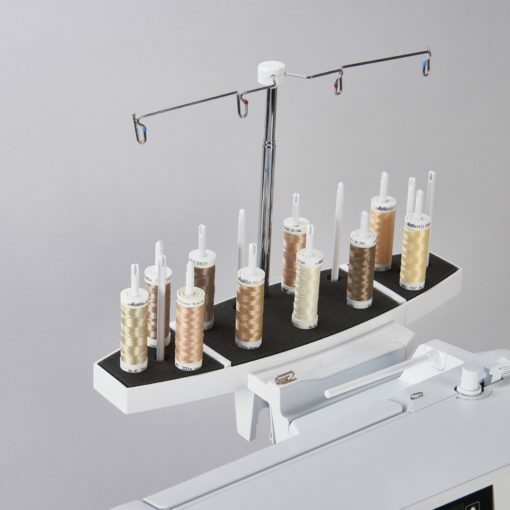 You’ll achieve brilliant embroidery results thanks to the new Invisible Secure function which makes the perfected tie-on/off formation completely invisible. The Smart Secure function smartly adds tie-on/off stitches to a design if none are pre-programmed. Or, simply turn this function off to keep the original tie-on/off stitch settings of the design. A big plus is that the cutting of jump stitches at every length can be set; no more manual trimming needed. Flawless embroidery has never been easier. 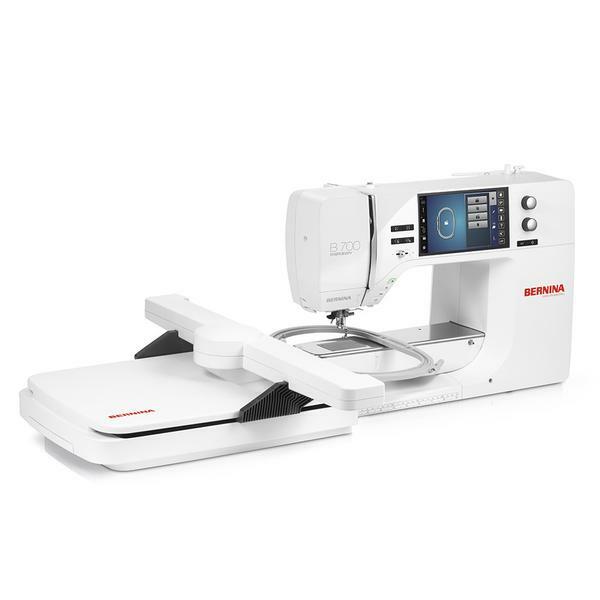 The new Thread-up Command function is easily accessible with the direct-select button on the front of the machine. It lowers and raises the needle bringing the bobbin thread to the top of the fabric at the start of stitching leaving the underneath side of an embroidery project beautiful and clean. 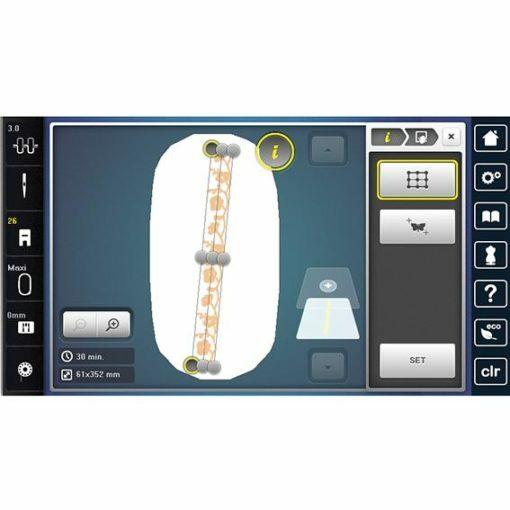 Accurately place designs with Pinpoint Placement, a great new feature for easy positioning and alignment. Simply select two points on the screen, match them with the markings on the hooped fabric, and have the design either aligned, rotated or resized to fit as desired. Have full visibility of the hooped fabric at all times, no additional tools or aids are needed. 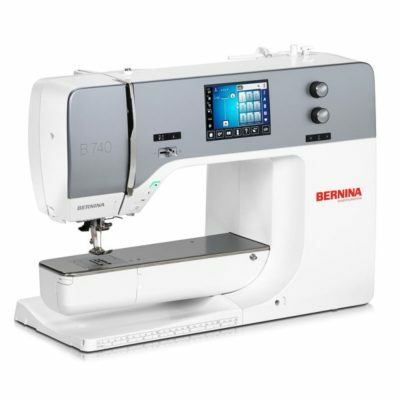 The Bernina Adaptive Thread Tension, a Bernina inno- vation, provides ideal thread tension while embroidering to achieve perfect stitch quality on both sides of the fabric. 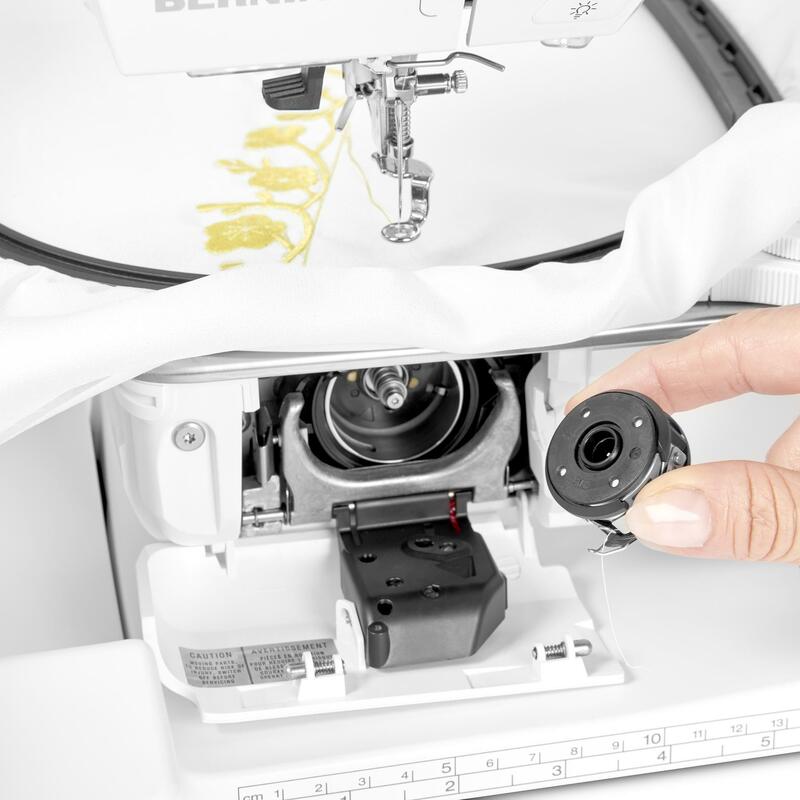 Once the tension is set according to the thread and fabric used, BERNINA Adaptive Thread Tension will constantly check the thread tension, adjusting it automatically when needed. 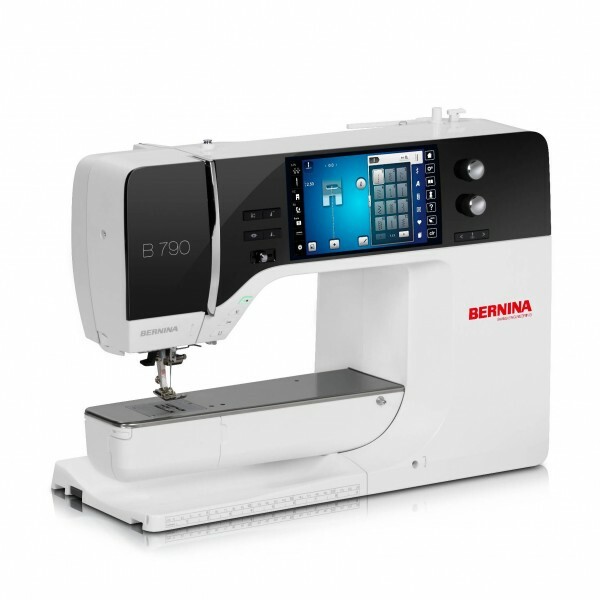 The result is the finest stitching without pressing a button.